Click "Pay online" for expedited payment and processing. You are not required to have a PayPal account in order to pay with a credit card. 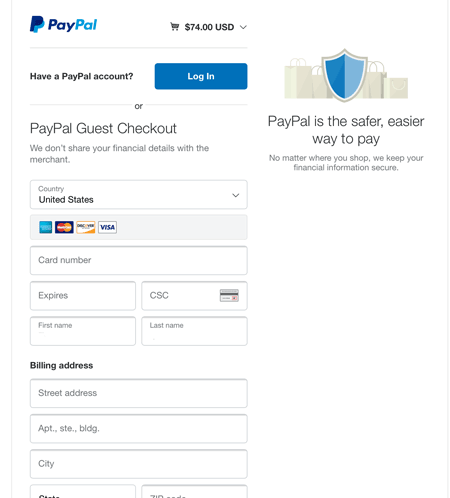 Complete the Credit Card fields under PayPal Guest Checkout. If you have an existing PayPal account and would like to use it, click the Log In button.